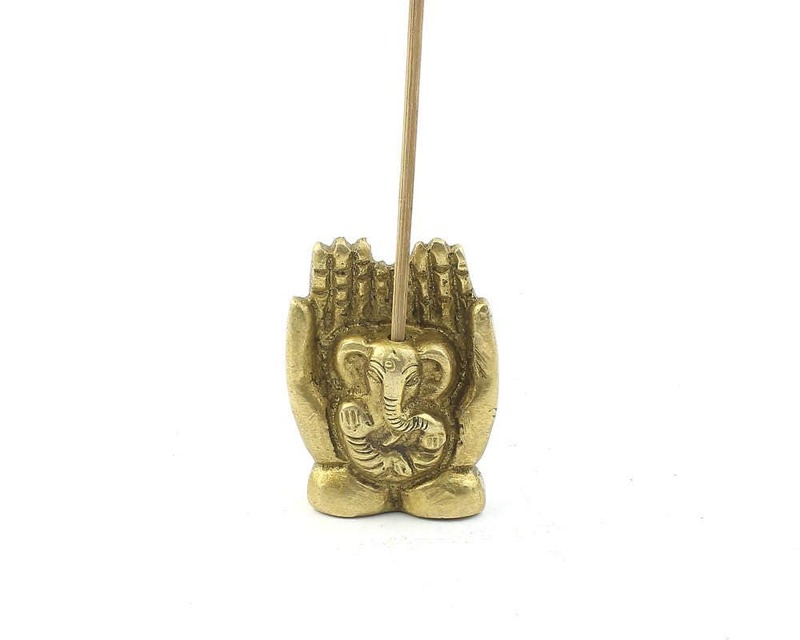 Cute Little Brass Ganesha incense holder. This statue will sit perfectly on your altar or shelf. 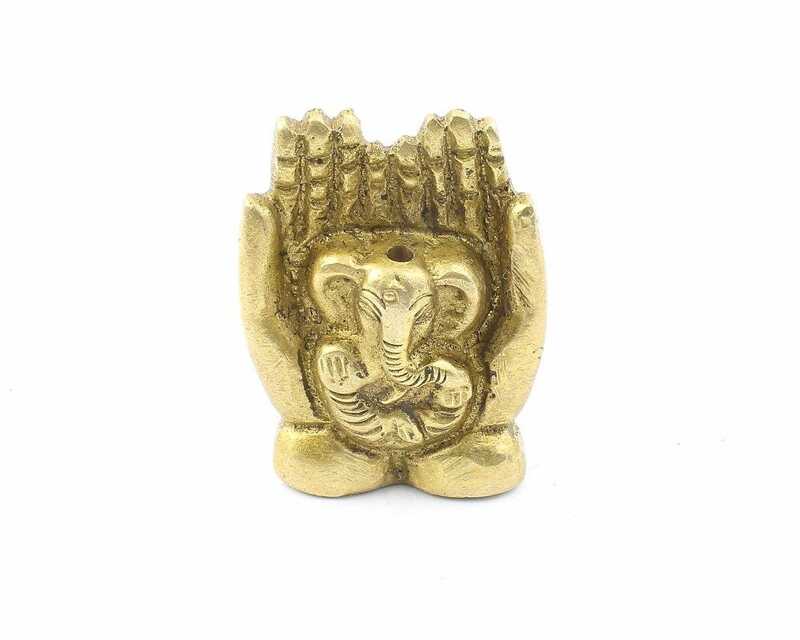 Ganesh is known to remove obstacles and troubles from your path. Material is 100% solid brass. Teeny tiny cute little incense holder (double check the measurements--this one really is teeny)! 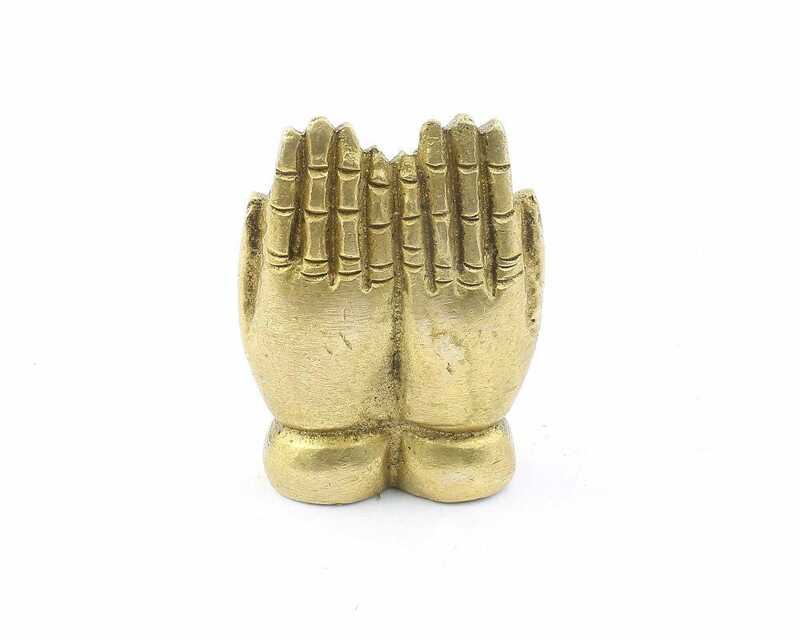 I prefer the other Ganesha incense holder I purchased with this one, but this will make a sweet addition to my altar. I appreciate the quick shipping and care in packaging, including the little sari bags for each item, which I was not expecting. Thank you so much!